Think the OCR will stay on hold this week? So do economists – but some also say there is growing scope for the Reserve Bank to cut again. The latest mortgagerates.co.nz survey showed that economists en masse believe the Reserve Bank will make no change to the OCR this week, leaving it at the record low of 1.75%. Additionally, most economists think there is little chance of another cut in this cycle and the Reserve Bank’s next move will be to hike the OCR. TD Securities head of Asia-Pacific research Annette Beacher believes there is zero chance of another cut in this cycle – bar the advent of World War Three. Likewise the NZIER’s Christina Leung and Robin Clements, from UBS, both said any further cuts to the OCR would have to be triggered by a major global financial shock. Asked when the Reserve Bank might make its next move, most economists picked that it would raise the OCR in mid-2018, although Beacher expects it to hold off till 2019. But weaker than expected inflation is a problem noted by most economists and, for some, that means the market’s focus on the potential for OCR hikes sooner rather than later might be misplaced. ANZ chief economist Cameron Bagrie said he expects the OCR to remain on hold on Thursday, but a case could be made for moving to an easing bias. That’s because core inflation has softened, the housing market has slowed, the credit cycle has tightened, global inflation has rolled over, and local inflation expectations are likely to soften. However, medium-term inflation signals are still positive so an easing bias is a leap too far, Bagrie said. For that reason, the Reserve Bank’s cautious, watchful and neutral stance is likely to continue although the tone of the accompanying comments should be more dovish, he said. Westpac chief economist Dominick Stephens agreed the Reserve Bank will probably stick to its neutral tone but emphasise the softer tone of recent data and its discomfort with the high NZ dollar. 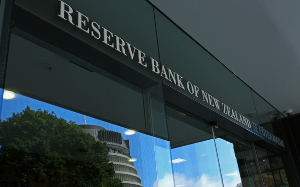 After sifting the latest data, the Reserve Bank is probably now even less likely to countenance the idea of OCR hikes than it was before, he said. “There has been a run of developments that will make it harder for the Reserve Bank to bolster inflation and it may expunge any hint of hikes from its OCR forecast. In line with this, ASB economists said they have now shifted their thinking on the likely timing for any OCR hikes. The balance of recent events mean the Reserve Bank is likely to be more cautious – including deferring its forecast OCR hikes, they said. For that reason, they are expecting the first hike to happen in early 2019, rather than late 2018. BNZ head of research Stephen Toplis took an even stauncher view, saying that a purely mechanistic approach to monetary policy would now argue for a cut in the OCR. The balance of recent economic data suggests the Reserve Bank should be lowering its CPI inflation forecasts to levels that are well below the mid-point of their target band and staying there for some time, he said. This pressure was further added to by the softening of the housing market, he said. While BNZ doesn’t think the Reserve Bank will cut, Toplis said the warning signs identified can’t be ignored and it is unlikely the bank will move to a more hawkish stance.